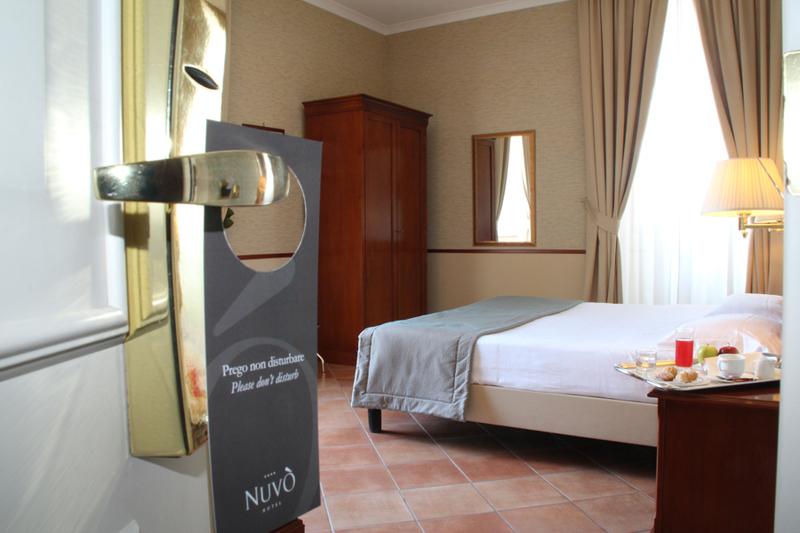 Nuvò Hotel offers economy rooms with french beds, doubles, Queen or King size beds rooms. 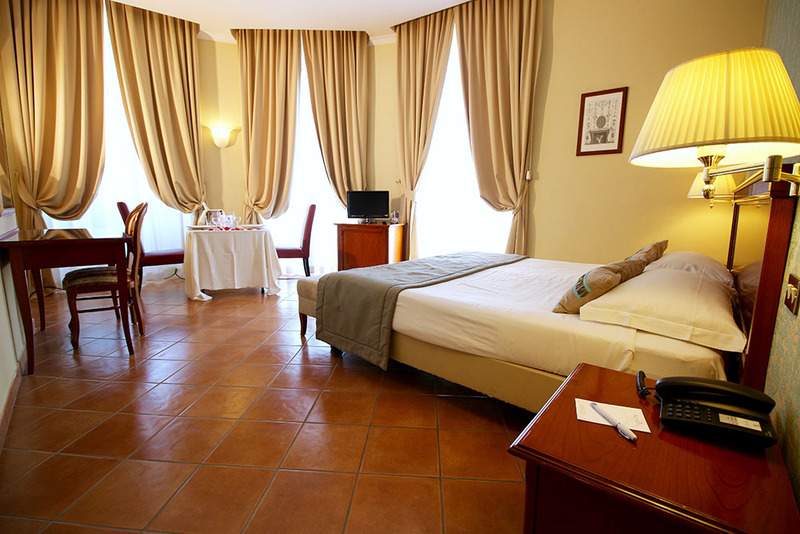 The Classic Rooms are stylishly furnished with an eye to detail and comfort. 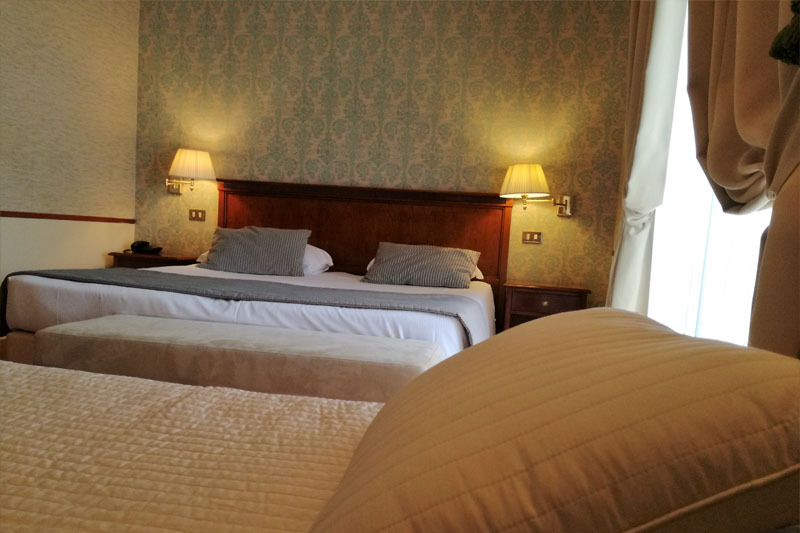 All the rooms are soundproof to guarantee maximum rest. 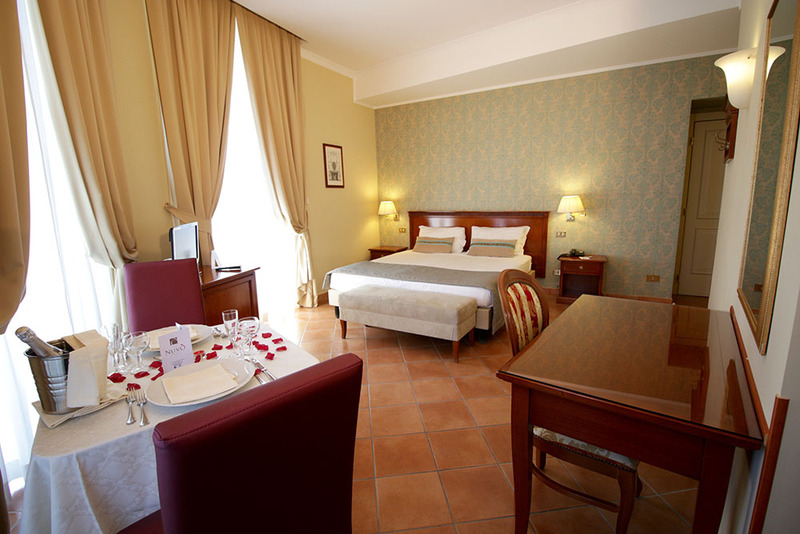 Superior Rooms are featured by a very elegant style. 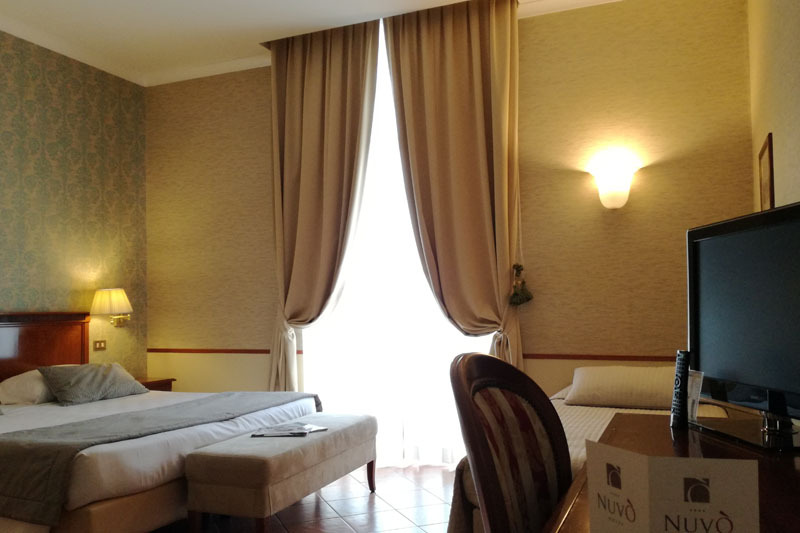 Their wide dimensions and the presence of a balcony make them ideal for medium-long stays. 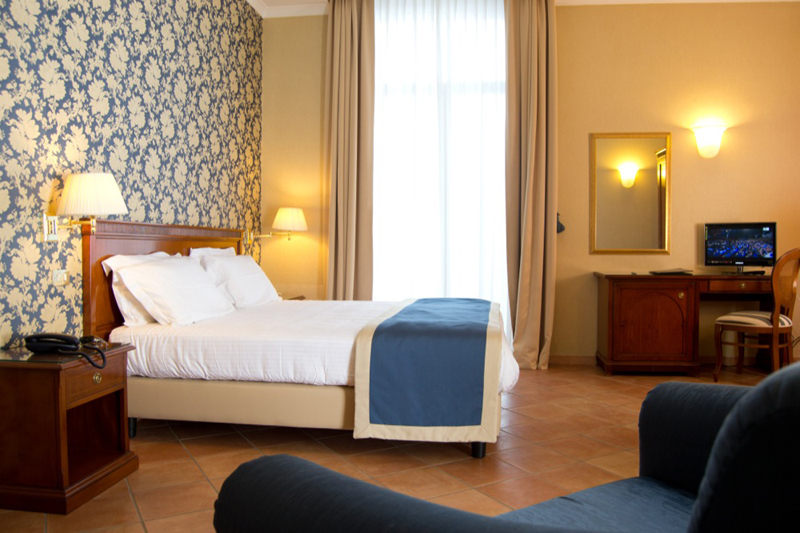 Each superior room is provided with balcony, tea maker, slipers and bathrobe and a 28 inch LCD TV. 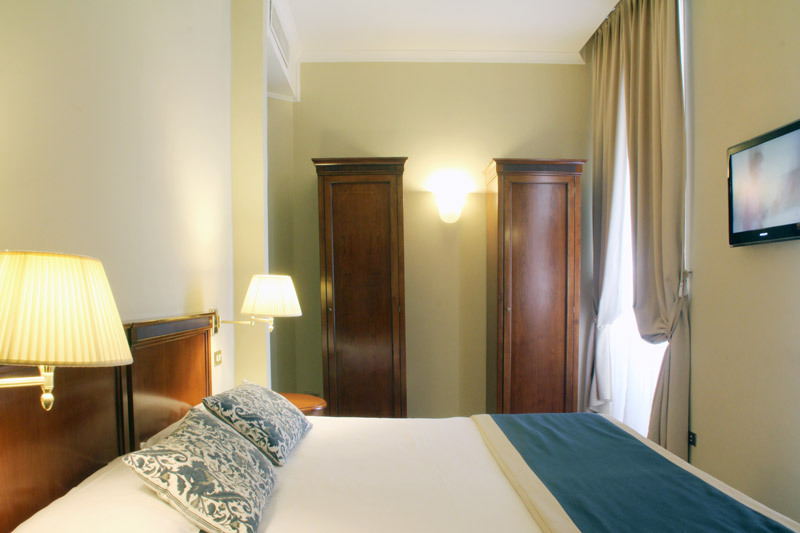 Our Deluxe room is characterized by a particularly refined style. 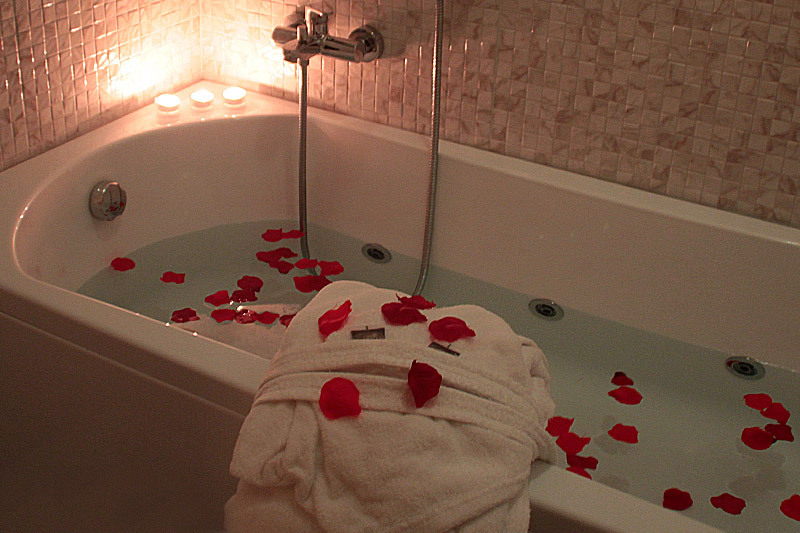 Ideal for romantic breaks and for those who want to enjoy a little relax, it is provided with jacuzzi bathtub and a 28-inch TV. 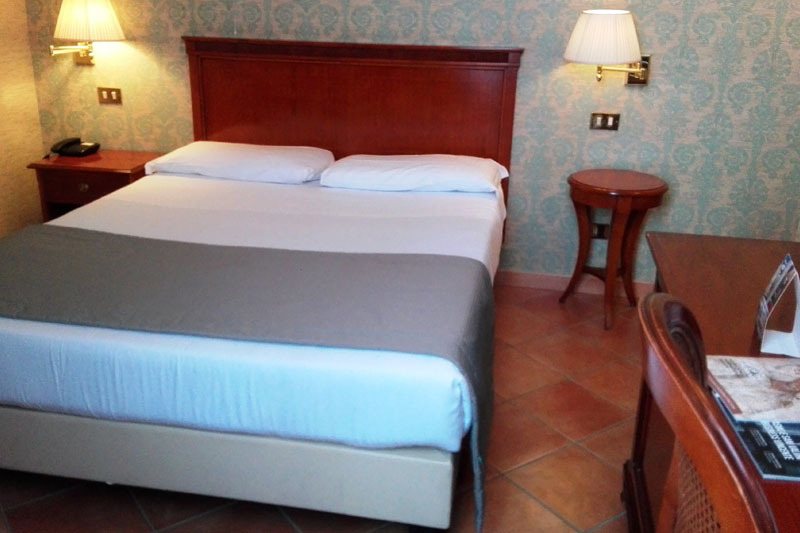 Triple and quadruple rooms are provided with all essential equipments necessary for families. 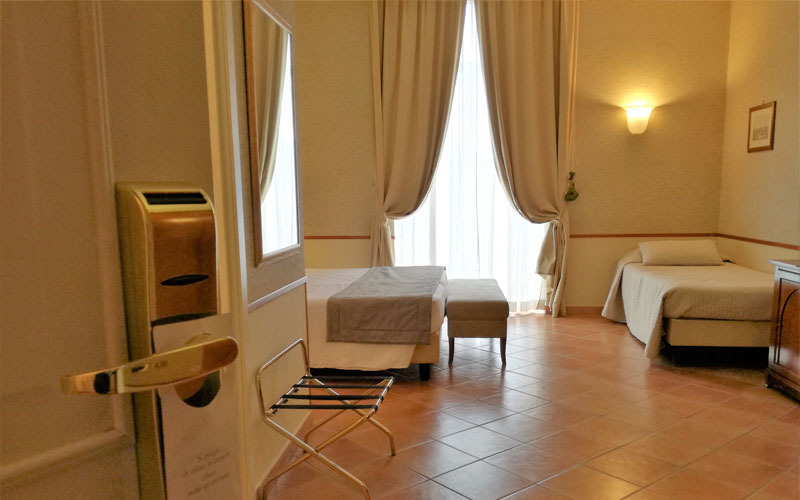 Wide enough to host familes, the presence of this typology of room made the hotel an "ideal choice for families"